In a school setting there are different kinds of tests which teachers give their students. Some are written tests were you can answer one of multiple choices, while others are completed in the form of an essay or summary. Tests can also be in the form of activities, like in gym class where you're tested to perform the drills over and over again. In all of these examples, the purpose and goal is not (or shouldn't be, anyway) merely to evaluate who is getting the highest test scores, or even building up the most stamina. Rather, those tests are (or should be) for the maturity and development of the student body. In the passage today from Paul's letter to the Corinthians, we are reminded that God tests us. Paul says that "We must not put Christ to the test (ἐκπειράζωμεν), as some of them did test (ἐπείρασαν)", and also, "These things happened to them to serve as an example, and they were written down to instruct us." In other words, the previous examples of God testing Israel are on our exams too, so we would be wise to keep them in mind when we are being tested. Paul continues: "So if you think you are standing, watch out that you do not fall. No testing (πειρασθῆναι) has overtaken you that is not common to everyone." How would you like that to be your test? And Hezekiah prospered in all his works. And so in the matter of the princes of Babylon, who had been sent to him to inquire about the sign that had been done in the land, God left him to himself, in order to test (πειράσαι) him and to know all that was in his heart. Whenever we examine Scripture’s examples of testing, whether those examples are about God testing us or being tested by evil, we are always tested in one common aspect of our lives: our loyalty to God. I find it interesting that in our lectionary reading from Corinthians, not only are we taught to expect tests, but in all of the examples Paul gives us about how not to respond to those tests, he mentions the people putting God to the test. In other words, when Paul teaches us about the tests of life, he wants to know what our response will be: Will our response be loyal love toward God, or will we side with evil against God? Will we put Him to the test? 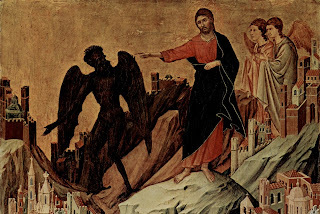 One of the most striking examples of testing in the New Testament is with Jesus right after his baptism, where he goes into the wilderness and is confronted by Satan. There, at the very heart of Satan’s test, Jesus is challenged to question his loyalty to God. As we know, Jesus passed the devil's test. However, at the very beginning of that story we are told that it is the Spirit who lead Jesus into the wilderness for testing (Matt. 4:1). Not only did the adversary test Jesus, but God tested His own Son too, according to that story. God tests us and our adversaries test us. It is very possible for God’s adversaries and ours to take advantage of those circumstances—those tests from God--to test our loyalty to God. After studying the Lord’s Prayer in detail years ago, and offering some thoughts about it, I concluded that the best translation for Matt. 6:13 was “testing,” not “temptation.” The reasons being, first, that by implication, the phrase “Lead us not into temptation” carries the baggage of God tempting us—even tempting us with evil--which He never does, for He can never be tempted to do evil Himself (James 1:13). Secondarily, and as I have already noted, God does lead us into testing, and because the same word for “temptation” (πειρασμός) used in Matt. 6:13 more often means “testing” throughout Scripture, and also is not a contradiction with James 1:13, that seems to be the only reasonable translation. And with that translation of "testing" comes an important lesson about Christian maturity and development, as any loving teacher should want a student to receive. If translated as “testing,” it turns out that Matt. 6:13 is not about deliverance from God ever testing us to mature and develop in life. It's not a request for God to cancel our tests altogether. Rather, the petition, "Lead us not into testing, but deliver us from the evil one" is a description of abandonment—to not be abandoned to go our own way or to fall by evil. Even the surrounding context of the Lord’s Prayer sheds light on that meaning. Immediately before the Lord’s Prayer on the Mount, where do we find Jesus being tested in his loyalty to God? In the wilderness (Matt. 4:1). 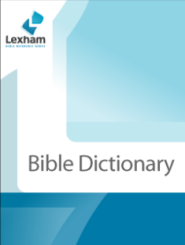 The geographical description could not be more obvious for those familiar with the exodus typology utilized throughout Scripture. It is in the wilderness with God that the evil one tested Israel. He tested Jesus also; and it is there where the evil one tests us too. The Lord's prayer is for the new Israel, the Church, who desperately needs deliverance from the evil one if left to our own ways in the wilderness of life. Therefore, when we pray as Jesus taught us to pray, that portion about God not leading us into testing is not a request to never be tested, but an acknowledgment of our vulnerability before Him in the wilderness of life. We are the ones who, when tested, are free to side with evil and even respond by testing Him back, by grumbling, complaining, and by not seeking deliverance from Him. So Paul says, don't do that! Instead, pray to your Heavenly Father who alone can give us courage through trials and also will deliver us when we turn to Him. The Lord's Prayer is for God's mercy to spare us from testing that we cannot handle. "For to Him belongs the kingdom and the power and the glory, now and forever." To Him belongs the power and glory…so seek Him while He is near. Paul tells us that God is faithful through every test we endure, and He will not let you be tested beyond your ability. With the testing he will also provide the way of escape, that you may be able to endure it. That’s God’s promise to you. God never puts you in a situation where you must sin. He always gives you the freedom to side with Him. So remain loyal to Him through all the tests of life.